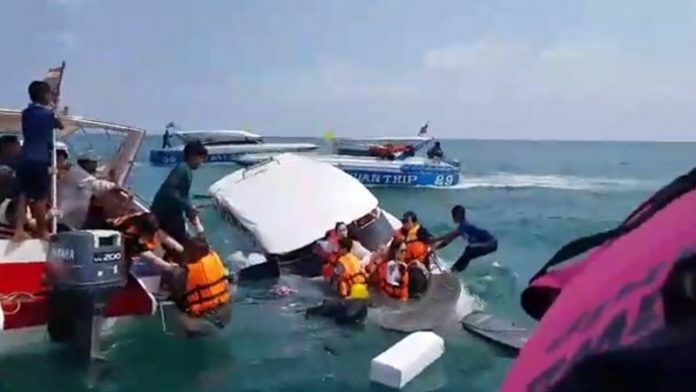 A tourist speedboat sinks in Koh Samet waters on the 7th of this month. The incident was reported to happen around 12.30. A speedboat was traveling to Sai Kaew Beach, one of Samets most popular beaches. The boat took a sink near Laem Yai area in Koh Samet waters located in Rayong province. Mister Alie 30 years old, a Chinese guide working on the speedboat reported that there was a sudden bump from a hard object to the speedboat, the speedboat then started to sink as water came in through the bottom of the boat. Luckily at the same time, another speedboat named “Nuan Thip boat” passed by. The Nuan Thip boat rescued some passengers right away and also notified other boats near the area for help. The boats came into where the speedboat had sunk right away and together they continued to search for all of the tourists. Most of the tourists on the boat were Chinese tourists with two Thai citizens who were working on the boat, there were a total of 26 passengers on the boat, consisting of 23 Chinese tourists, 1 Chinese guide, and 2 Thai’s working on the boat. 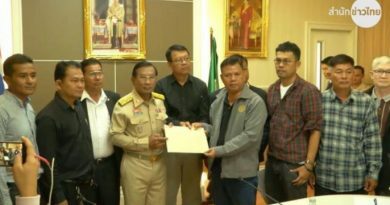 Nattawut Puengkusol 31 years old the boat driver vanished after he returned to land. 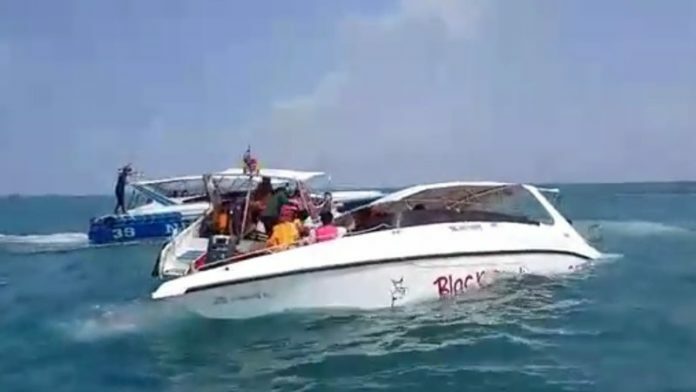 The speedboat belonged to Black Marine boat company and the speedboat has now been returned to the Samet Pier. Even Though this was certainly not a pleasant incident, it is extremely good news that no one was heavily injured thanks to the Nuan Thip speedboat, other boats in the area, and the rescue teams who saved all passengers from the sunken speedboat. The rescue team was able to rescue all of the tourist passengers after a continuous search around where the boat had sunk. All were found alive although 1 passenger was injured from drowning, 1 male and 1 female were bleeding from cuts and 6 other passengers were lightly injured from the incident. 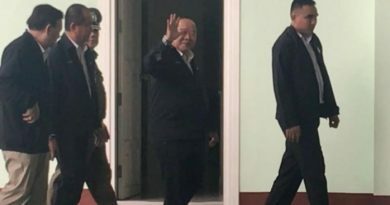 All injured persons have been sent to the Rayong hospital. 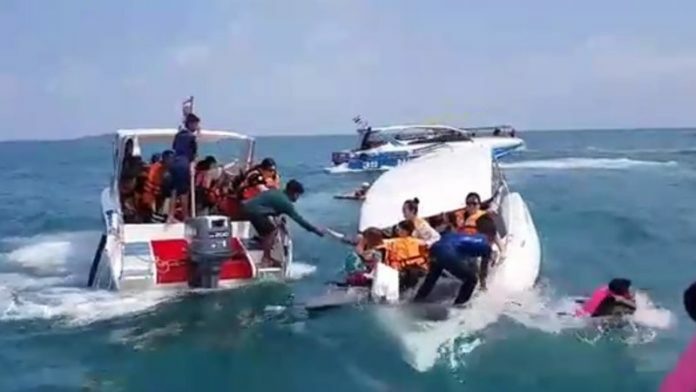 FB Caption: Even Though this was certainly not a pleasant incident, it is extremely good news that no one was heavily injured thanks to the Nuan Thip speedboat, other boats in the area, and the rescue teams who saved all passengers from the sunken speedboat.